I read this article and found it very interesting, thought it might be something for you. The article is called Beyond Advertising: Will Micropayments Sustain the New Internet? 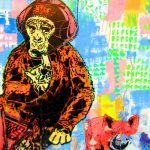 and is located at https://evonomics.com/beyond-advertising-micropayments-sustain-new-internet/. One consensus about today’s Internet appears universal — that advertising can no longer shoulder the cost. Nor will web-citizens put up forever with companies grabbing ever-more personal information, for the purpose of barging into our online spaces, hectoring us to buy. Even worse, professional journalism is in freefall, lacking any reliable way to pay expenses. 1. If information is accessed for free, we must find new ways for information creators – from artists to journalists to sci fi writers — to survive and keep doing things that other people – readers, listeners, watchers – deem valuable. If older modes of “intellectual property” are proving cumbersome or unenforceable, might we innovate others? 2. A lot of what’s “free” isn’t. Nowadays you pay for online experience mostly with a commodity that is intrinsically limited, human attention. Advertisers chase it by grabbing snatches of your time and/or screen space, and it will only get worse. Are there times… is there some low cost threshold… at which you’d rather pay with a minuscule amount of cash, in order to surf without irritation and distraction? Shouldn’t you have the option? In Part I of this series, we explored possible alternatives to ever-more intrusive advertising, including content that can only be accessed via paywalls or curated silos. We examined the history of Micro Payments (MP) that might let information flow more naturally toward where it’s wanted, in a natural tide of quid-pro-quo — the kind of trade that human beings have done for at least ten millennia. Still, as we saw last time, there are fierce critics of this concept. Indeed, every past attempt to create a widely-used micropayment system failed. Might that be because a key concept or ingredient was missing? Is there an innovative element that could offer you and me a second option? Instead of paying for content by letting advertisers grab bits of limited attention – or fleeing to the shelter of some closed silo — is there some way to buy our way free of those traps with minuscule and easily bearable amounts of money? Stanford University Professor Eric Roberts lists five necessary traits for any functional micropayments system: Security, Scalability, Reliability, Interoperability and Anonymity. But in this series I’ve attempted to show that these goals do not have to be accomplished all at once or at the same levels. In particular, security has been an expensive obsession in almost all micropayments endeavors, so far – and unnecessarily, since micropayments happen in a totally different realm of needs than PayPal or Visa. Certain fundamental traits of small-packet information goods, e.g. high fixed / low marginal cost, suggest that Prof. Roberts’ listed needs can be prioritized in stages by a smart startup. That, in turn suggests a possible “secret sauce” for micropayments – one that hasn’t yet been tried. Last time, we examined many past approaches, like making MP part of an existing commerce mediation company like PayPal or Amazon, already set up to bill your credit card account. Online news junkies might sign up with a business that interfaced with hundreds of publisher websites. By click-opening an article, a reader triggers the automatic debiting of 1 cent to $1. If a reader is disappointed by the item, under a certain threshold of time, he or she clicks “CANCEL.” Or you might choose a smaller, partial payment… or else slip the seller a bonus, if you really liked it. This single silo approach has advantages. One company might make lots of money by convincing all sellers and buyers to use it as their central nickel and dime exchange, as is being attempted right now by Blendle. Parallels with iTunes and Spotify come to mind. But those silos help customers to curate a specific kind of product – music – a simplicity that helps keep customers “resident” within the company’s paywall. One variation would be to keep each item or article behind a micro-paywall as customers click interest, adding cumulatively up to a set threshold. When the number of potential customers reaches a trigger point, the price suddenly goes to zero; all those contributing during the mandatory pay period could be listed as sponsors. Those who are first to pay get future discounts and recognition, not only for promoting the article but for helping make it free for those who follow. Is that the promised Secret Ingredient? In fact, I don’t favor it much, nor the silo model. Neither method looks far enough ahead, to the coming era of an Internet of Things, when information “providers” and “customers” will include vast arrays of trillions of machines, sensors, distributed components, all of them needing and offering data. In that coming era, information exchanges and transactions will parse extremely fine, swapping nano- or even pico-payments for every datum exchanged, perhaps resembling the way each of us “pays” the sensor cells in our fingers by providing them with nutrients. Under those conditions, if some giga-corporation or government winds up mediating and controlling this maelstrom of rapid contracts and interactions, the silo approach will be a surefire ticket to Orwellian nightmare. So let’s step back and try working out a strawman sketch of a micropayments system. In the near term, I view the central locus of MP activity as the browser. 3. adds a nickel to a tally billed to the user at the end of the month. Although Mozilla and Apple and Google and Microsoft will want their browsers to be MP ready, the heavy lifting is done by the FI, which stands to gain great value once MP is established. Still, since the potential number of FIs is not limited, the narrowest intrinsic bottleneck is the browser. All of which brings us to stage 4 – the one that matters and makes MP different from all other money-transfer systems, rendering MP essentially easier to implement in dozens of ways. 4. Either at time-of-use or at billing, the user disavows some transactions! These events are removed from both lists, before reconciled totals are sent to the CP and before the user’s monthly bill is tallied. In other words, the customer can say: “I never ordered that,” or “I won’t pay for that.” And by default she is believed. Is this Brin’s ‘new approach,’ enabling us to get past the problems that stymied earlier attempts at MP? Letting users refuse to pay? Okay, that will take some convincing. So maybe we should go over it again. Suppose your browser — Firefox or Chrome or Safari — came equipped to let content-providers insert a little button on their pages, say after the first few paragraphs of each NY Times article… or the teaser 30 seconds of a song… a button with a 5¢ symbol glittering, inviting you to click and keep reading, or listening, or downloading. Remember that it is not the thought of a nickel that deters, but rigmarole! Slowing the online-surfing experience… which is exactly what sign-ins and passwords do. There are tricks to avoid paying – we all know them. Say, by surfing over to your favorite aggregator and skimming for a side-slipped version of the story. Or a bit-torrent cheat copy of that book, or an uploaded pirate copy of that song. But would you go to all that trouble over five cents? If clicking that 5¢ button were all that it took to keep going — and assuming those first few paragraphs or musical bars were captivating — then you and millions of folks would pay the nickel. And with tens of billions of nickels pouring through such a system, professional journalism might be saved. So, the obvious question: how do you manage security in a one-step process that demands no “rigmarole” has no pay walls or password validation? On his blog “Technology and Disruption,” Anders Brownworth discussed parameters of a hypothetical micropayments system. This notion of disavowal goes back to my 1997 book, The Transparent Society, where I discussed how a workable micropayments system would be intrinsically different than say PayPal. When it comes to large or medium scale or physically tangible goods and services, settlement cannot be capriciously shrugged off or refused, not without adjudicated cause. But micropayments only matter to the seller in aggregate! They don’t have to be amortized against item cost. Indeed, most items sold under any MP system would have a marginal loss-cost to the seller of approximately zero. So long as the general flow of revenue is optimized, then each individual transaction can be left to the purchaser’s whim. This looseness does not add up to a complete failure of security. Villains must still be stymied and prevented from taking advantage of others. Sellers must provide what the customers pay for. Customers should be expected to fulfill their obligations. Parasitical free-riders should be discouraged. But the core fact remains: no individual transaction really matters, only the aggregate behavior of clients who contribute to the provider’s bottom line. Anders Brownworth comes close to the sauce, but falls short by assuming you need security during disavowal. But I contend it can be dispensed with 99% of the time. Indeed, it has to be! Because MP transactions are numerous and small, they must be one-click. Ideally, the user would seldom — if ever — have to sign in with a password. Certainly no more often than weekly, or monthly. Easy disavowal removes a serious source of user tension — that their browsing and surfing can add up to serious economic loss, or that each disappointment — a shallow news article or a shabby video — carries the irksome psychic cost of a bad deal. Web commerce should be a realm of satisfactory bargains and satisfied customers, not a grinding rub of regret. Disavowal — and the accompanying chance to whim-double your payment — also provides plenty of feedback data to sellers. Ideally, some of the value that the companies get from all these choices and clicks will be commissioned back to users. As micropayments. As for the apparent downside of disavowal? Let’s get to that. It’s not a flaw, but a feature. This payment list could also contain six or seven head-scratchers that make you go huh? Three of them might be yours — maybe you just forgot. But the others are clearly mistakes. Or else someone hacked in to steal maybe 30 cents in value, hoping you’ll not notice. Okay, so what happens when you disavow those suspicious transactions? They vanish! The thief gets nothing. So long as disavowals lie below a given threshold, they harm no one. Above that ratio? Financial Intermediaries and content providers send sampled disavowals to a unit that investigates for fraud or freeloading or reputation management. But you, the client? At some point, you’ll be offered a security package. And if the company determines that a user herself is abusing the power of disavowal? Refusing to pay for a large fraction of legitimate clicks? Then gentle warnings are followed by a decline in credibility score — a precious metric that we’ll talk about another time. Some customers might be placed on a limited diet of micropayment clicks. In extreme cases, they can be told to find another FI… and their freeloader reputation follows them. The secret sauce summarized: this un-tapped market is made far easier by not needing perfect security from the start! To content providers like the NY Times, any new cash flow — for items with only sunken and zero marginal cost — will be a source of delirious happiness and it will be years before they start sweating percentages. Years to get kinks out, while the initial quick startup is drawing commissions from the very beginning. This trait makes micropayments a potential “killer” business. We spoke of the intrinsic value of MP data. Users might demand a share in whatever benefit a company gets from information about them. In fact, there is no system better set up to bring Jaron Lanier’s theoretical concept of qui pro quo to life. In any event, the experiments proposed here would seem to be inexpensive, given the issues at-stake, including the future of a free press. The other kind of disavowal – “I didn’t like that so much” – can be handled in any number of ways. Instead of simply refusing to pay, a user might send that nickel to a separate pile that goes to a charity or else gets split among MP sites the user did like! Such repartition of funds can be satisfying to the user and increase competition for quality, among content providers. Is advertising inherently incompatible with MP? Not necessarily. Several companies have been making small payments to consumers instead of collecting small payments from them. They pay either for attention to ads (Cybergold) or rewards for patronage (Netcentives and ClickRewards). Cybergold users have to register and describe themselves, whereupon payment varies from fifty cents to five dollars. An ad for a Tesla will be worth far less to a college student than to a middle-aged, high-income executive. That last example shines light on one of the pathologies of an internet that depends only on advertising, for we are entering an era when sites will swiftly detect a rich person and offer preferential treatment over the poor, who are of interest to fewer advertisers. Which raises a fair question: will micropayments be any less prejudicial? The well-off may not care if eighty clicks on 25-cent buttons cost them $20 a day, but that level of cost could crash our utopian notions of the Web as a nearly free enabler for poor folks, around the world. Ideally, what we’ll see is market forces and competition turning 25¢ buttons into 5¢ buttons… into 0.01¢ eyeblinks that we cease to even notice, at all. But we cannot rely on market forces, alone. Over the long haul, one solution is for those utopian goals to keep mattering to us! So that legislated or subsidized or free-baseline services – and totally-free local libraries – never cease to be uplifting and empowering. Trial and error may smooth out issues between users and companies. For example, if a customer refuses to pay, and the provider was already low-credibility, should caveat emptor apply – buyer beware? New kinds of bad behavior might include groups ganging up, making false purchases and then repudiating them, in order to damage reputation. These problems could be corrected with a good, satisfaction-scoring algorithm. Back in The Transparent Society I predicted the decline of journalism, unless some way were found to make value and reader satisfaction correlate directly with support for content creators. But what seems obvious to some can be ridiculed by others. One recent, attack on the concept of MicroPayments, by Will Federman, on Medium.com, lambasts the Blendle experiment in particular, and MP in general, maintaining that “the market value for traditional journalism is approaching zero.” He claims no article, no piece of investigative journalism has any value in preference for users to spend their time, maintaining that “Once the burden of pricing is put on the free market, it becomes a race to the bottom…” an assertion that seems so blatantly counterfactual that it begs to be tested. In other words, silos can work – we already knew that – but they may also kill what we love most about the wild-open Web. If we can make micropayments realistic, it would be a breakthrough for other areas. 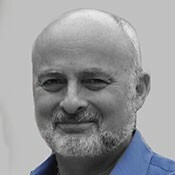 Businesses that would benefit from “box-shattering” re-imagination include banking, social networks, reputation management and human-cyber interface. In every case, a healthy and widely used micropayments system could do real good. Indeed, there is a basic parallel here with citizenship. Consumers are not powerful individually, nor are individual voters. But there must be ways – e.g. elections — for them to aggregate, form a collective voice, and matter! For when they do, they can daunt even the mighty. That is the fundamental principle espoused by Adam Smith, enacted by the founders of our Enlightenment Experiment, approved by both Keynes and Hayek and validated by the yearning we all feel right now, to tame the beast – advertising – that now rules our info world. Again, I do not guarantee that an MP system would not turn Orwellian, or oppress the poor, though making it as broadly diverse and competitive as possible will more likely bring happy, positive sum outcomes and steadily plummeting prices. In any event, I’ll keep making the analogy with the cells of our bodies, which get micropayments of nutrients in exchange for their services. Settled far below our awareness, we seldom begrudge these deals. Sure, many have tried and failed. FirstVirtual, Cybercoin, Millicent, Digicash, Internet Dollar, Pay2See, Sourcepoint and so on. Yet efforts continue with Blendle and – soon – a new effort called Brave.com. One thing is clear — someone will succeed at this, sooner or later. Anyway, what choice do we have, but to keep trying for some method for pay-as-you-go to at least supplement advertising, if not serve as a viable alternative to advertising’s increasingly toxic and repellent dependence? The first folks to do it right will own the new PayPal. They will do very well, very quickly, while doing us all a whole lot of good.